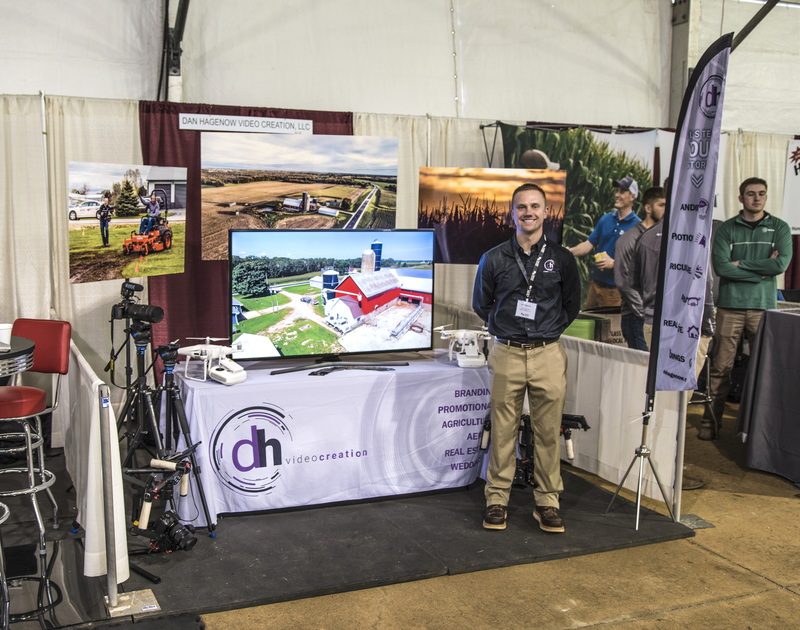 (Manitowoc, WI): The Farm Wisconsin Discovery Center will be celebrating National Thank a Farmer Day on October 12, with a special presentation from Dan Hagenow owner of Dan Hagenow Video Creation, LLC. The presentation will begin at 1:00pm on Friday, October 12, at Farm Wisconsin Discovery Center located at 7001 Gass Lake Road, Manitowoc. Dan Hagenow will present on why it is important for the agriculture community to share their story and passion through video. Hagenow, raised on a small dairy farm in rural Wisconsin, has an appreciation for video and strives on telling the agriculture story. During his presentation, Hagenow will also share a few videos he has created for those involved in the agricultural community. Following the presentation, tour Farm Wisconsin to view all of the videos Dan Hagenow Video Creation produced for the center. This presentation will be included with the cost of daily admission or your Farm Wisconsin yearly membership. For more information, contact Melissa Bender at (920) 726-6003 or melissa@farmwisconsin.org. The Farm Wisconsin Discovery Center is a state-of-the-art, interactive agricultural education center located in Manitowoc County. It provides visitors with the opportunity to connect to the industry by better understanding where their food comes from, and why agriculture is so important to them. The center features 10,000 square feet of hands-on learning opportunities, a birthing barn where visitors may watch calves being born daily, and an opportunity to tour a local farm to learn about Wisconsin’s rich farm history. Open daily from 9:00am to 5:00pm seven days a week.